Studio monitors are a necessity to a music production setup, be it a small scale setup or a big one. And, if you need to have the best experience with precision and quality, you need to have the best studio monitors for the work. However, the best studio monitors might go over $500 or even $1000. 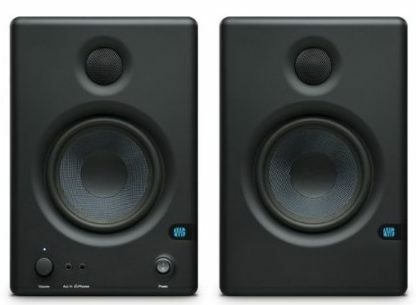 If you have that kind of a budget, you may invest for such studio monitors (they are definitely worth it). But, do you really need such products for medium scale setup or if you are just starting out? 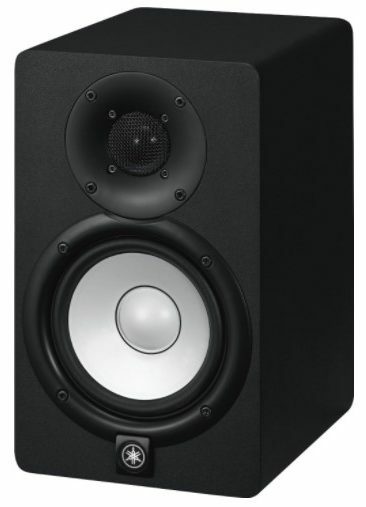 Fret not, in this article we have listed the best studio monitors under $200. You could find powerful studio monitors, balanced monitors, really cheap studio monitors, and some unique studio monitors in this list. PreSonus products are mostly categorized as the best bang for the buck stuff. And, the PreSonus Eris E4.5 comes with a price tag of $199. So, it is exactly around the budget you would be expecting (being a pricier offering). It is a 2-way powered studio monitor which is powerful enough for a fairly large room. You also get a perfect clarity audio experience. The bass experience is decent enough. You shouldn’t expect a high-end bass experience under $200. So, it’s an average studio monitor with good clarity and midrange bass experience. The studio monitor features a good build quality and hence is a durable product. 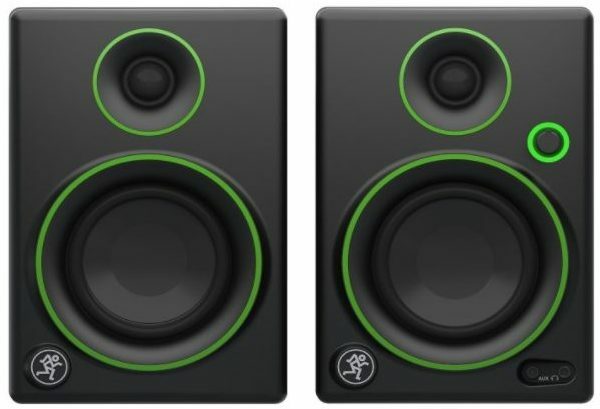 Maybe it isn’t an attractive product regarding its design, but it indeed is one of the best studio monitors under $200. Check it out here. 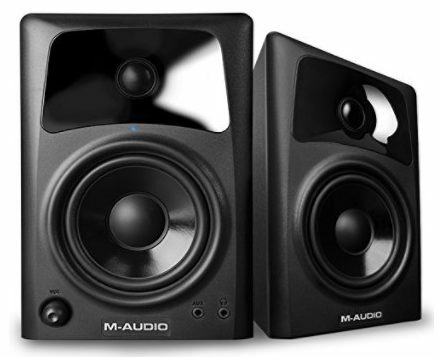 The M-Audio AV32 comes with a price tag of $84.20. It is one of the best budget studio monitors under $200. It offers a decent quality output. Of course, it will not be comparable to a $200 pair of studio monitors but does the work if you have a fairly small room or small-scale studio setup. It looks shiny. And, as a bonus, you get a 3-inch subwoofer with this one. So, if you want a decent clarity but a richer bass, the M-Audio AV32 is a steal deal. It offers RCA inputs to let you plug into a DJ system as well. Would you want to try this out? Alesis Elevate is for the budget conscious buyers looking to grab the best of the both worlds under $100. The Alesis Elevate 5 comes with a price tag of $99.9. It should be a step up for those who want a better clarity and a mild bass experience on a budget. Of course, it allows RCA inputs to let you connect with other systems when required. It features a 5-inch low-frequency driver that helps to provide the best possible audio experience. It is not a bulky set of studio monitors but compact enough to fit almost everywhere. Want to grab this studio monitor? Read more before you buy. If you want a pricier offering for a studio monitor hailing from a big brand, this is it. Well, it is a studio monitor from Yamaha, it should be obviously targeted to the consumers who are just starting out or are professionals with a tight budget. The Yamaha HS5 is surprisingly under $200 (technically!). It comes with a price tag of $199.99. It surely is one of the best studio monitors under $200. Yamaha HS5 also features an HF bi-amp system for maximum performance. It offers a great clarity for the audio experience and a well-balanced bass. The XLR and TRS Jack offered accepts unbalanced or balanced signals. It comes in two colors. Check out the colors available. 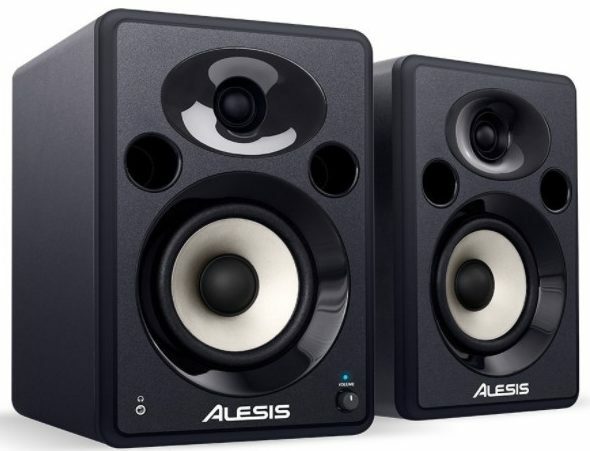 Another impressive studio monitor under $100 is the Alesis M1 Active 320. It is one of the best stereo monitors that come with integrated USB audio interface. It is a very nice deal as it comes with a price tag of $79. So, if you have a budget of under $100 for a studio monitor, this should be a potential pick according to your requirements. Also, the Alesis M1 Active 320 comes with a 3-inch subwoofer which makes the audio experience much more exciting. It features a 1-inch tweeter which makes it possible for the production of high-frequency audio. Alesis M1 Active 320 contains 3.5mm inputs, 6.3mm inputs, and RCA inputs to let you utilize it for just about everything apart from being one of the best studio monitors under $200. It also includes a front mounted headphone output, which is convenient. You get an amazing frequency response of up to 20 kHz. Sounds nice? Buy it now. 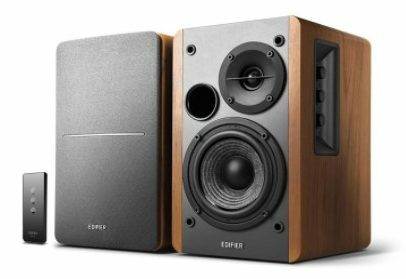 If you want to grab a high-quality studio monitor with powerful sound and a classic look (as most of the best bookshelf speakers do), then the Edifier R1280T should be the best pick. It comes with a price tag of $99.99. It offers a wooden finish with a durable build quality. Also, the Edifier R1280T is considered as one of the best bookshelf speakers available around. It includes 2xAUX inputs, and you get a dual RCA output (or the headphone jack – 3.5mm). Edifier R1280T studio monitor offers a pretty decent sound quality. It is surely worth the price you pay for. It features a natural audio experience with the help of its 13mm silk dome tweeter. To make things convenient, the control buttons could be found at the right side (to give a cleaner look to it). It is one of the best seller studio monitor on Amazon. Grab it before the stock ends. Mackie CR3 is an incredible set of speakers. It can be added to just about any category of speakers or monitors you want for the job. It is one of the best budget speakers, and it is also suitable to be one of the best bookshelf speakers. So, if you are looking for something that is durable, popular, and could be used for a variety of purposes, the Mackie CR3 is a steal deal. The Mackie CR3 comes with a price tag of $99.99. The green-black theme combination is a treat to the eyes. The product definitely incorporates professional grade components for optimized sonic performance. The volume knob takes a minimal space without hampering the look and yet conveniently placed. You will be amazed to experience the audio output that you get at such an affordable price. Also, if you want a pricier alternative thing which isn’t advertised – Bluetooth Connectivity. Yes, the Mackies CR3 offers Bluetooth connectivity to let you connect with mobile devices supporting it. Read more about Mackies CR3. 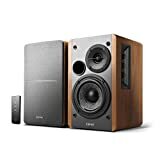 The Edifier R1700BT is a similar studio monitor to the previous Edifier product but with Bluetooth connectivity. The Bluetooth connectivity option could come handy to a lot of users wanting to connect the studio monitors to their mobile devices. 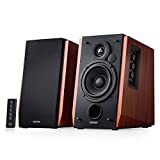 It is fit as a bookshelf speaker and also is one of the best studio monitors one can get under $200. The Edifier R1700BT is a classic looking speaker with wooden finish. It comes with a 2 year warranty period which applies to the residents of the United States or Canada. You can buy it from here. Which is the Best Studio Monitor Under $200? Choosing a good studio monitor is not easy. You might find some of the studio monitors offered at a lower price which is attractive by the designs but not really providing quality audio experience when listening to music. On the other hand, you will observe a couple of studio monitors overpriced just for the sake of specifications but in the practical world, the specifications do not matter, it is what you experience. So, you have to be careful while deciding to get one of the best studio monitors. And, that is exactly the reason why we took the time to curate the list of best studio monitors under $200. At this price range, you will find products listed from the cheapest one to the pricier one. However, we picked up only those that are not overpriced and are well-balanced according to their worth. Also, do note, you might experience something to be very good, and a person could provide a negative feedback at the same time. It is because personal requirements differ. You may be an individual who likes deeper bass, and there could be another one who hates deep bass but more clarity. So, it all comes down to your personal preferences. Which of the best studio monitors under $200 listed above did you like? Are you going to purchase one of them instantly? If not, for which product are you saving? Let us know your thoughts in the comments section below. Yamaha is the trusted brand in this category, i have personally used it and it felt great. Thanks for the comparison of studio monitors. I am planning to set up one. I have the Alesis Elevate 5 however am looking for one more high end. Do you have a better suggestion for a higher end one for about 350 to 400 dollars let me know. Thanks. Nice Article there. I liked Alesis M1 Active 320 and thinking to buy this Christmas. Keep doing the good work. Actually i came here for backlink. But you have listed here a nice collection of studio speakers. Actually i have an Edifier R1700BT. Its great. thank you for sharing such blog its easy to find over here as you have the link of the selling website. i have an idea to open a up mine own studio and i searched for a best multimedia studio monitors but couldn’t find it. bcs of your post i think i found some quality products for the best price in the market. thank you for the post. great. Thanks you are article help me alot for last 7 days i was thinking to buy new music system now this topic really helped. Great work keep it up. 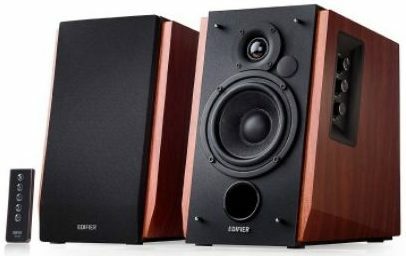 Is Edifier R1700BT available in India? I did check in few shops in here but can’t get it. If I order online will the product be delivered in India? 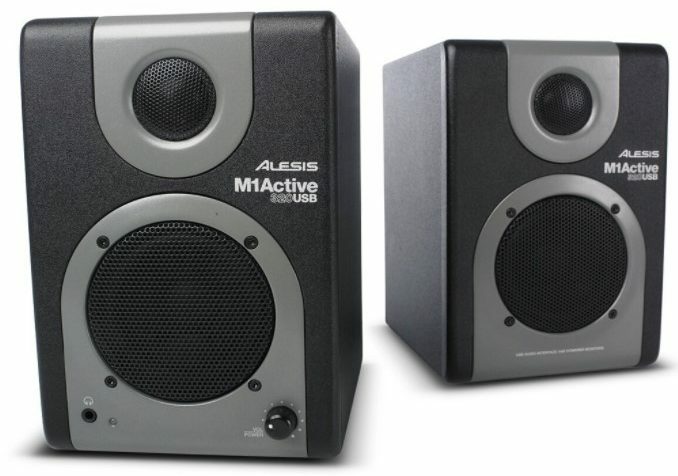 Alesis M1 Active 320 powered monitor speakers make a lot of sense for field recording and other traveling audio engineers. These compact speakers are equipped with I/O for connecting a keyboard, mic preamp, guitar effects, mixer, and other audio components for easy computer recording. The speakers deliver 16-bit/44.1-48kHz audio quality through a USB 1.1 port–without the need for special drivers. Besides the USB cable, the I/O includes quality 1/4″ plugs and standard RCA jacks, a TRS headphone output, two unbalanced 1/4″ phone jacks inputs, a stereo 1/8″ mini-jack input, and stereo RCA inputs. studio monitors should be chosen carefully and better to listen to each model, because much depends on the room. And more important is the furniture in the studio. Our catalog offers such furniture. A monitor for 200 rubles is quite good for beginning magicians. Glad to see your blog Abhishek because i am spending more time to hear songs, so i like your cheapest and different models of monitor speakers ; right now i got a fabulous list of speakers. thanks a lot a lot for these collective products.